Those who cook knows best: a greasy film occurs on the kitchen cabinets which is very difficult to remove. 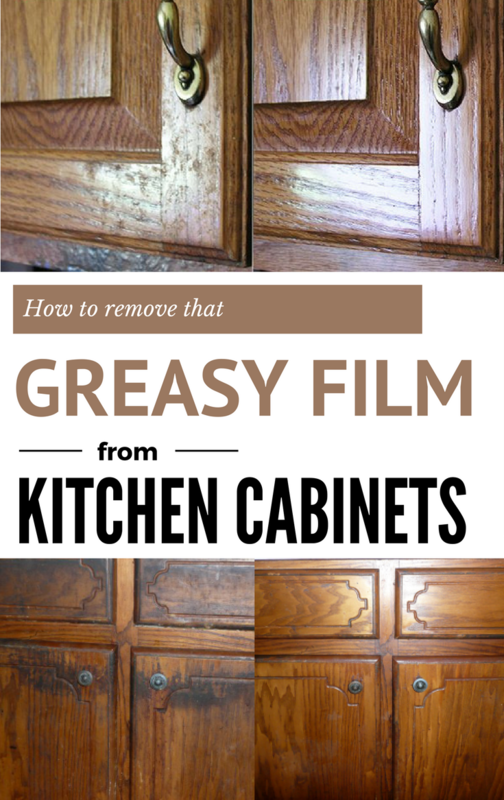 Because the chemical solutions may damage your furniture, we show you how to get rid of that greasy film from kitchen cabinets with natural solutions. Oil stains are inevitable when cooking, despite all the precautions you take. After a while, these oil stains create a greasy film that is difficult to remove. The most affected areas are the cabinets, the hood filters, and the outside of the decorative hood. Trying to clean the grease with a dry or wet cloth is a real torment – you consume time and energy without getting any results. Here are some tips that will help you keep the kitchen cabinets clean. Pour undiluted vinegar on a dry cloth and wipe the cabinets. Rinse the cloth in hot water, squeeze it well and wipe again to remove the vinegar out of the cabinets surface. Then wipe them with paper towels and be careful to remove any remaining stain. Well, you can remove grease spots with … oil. You can remove the dusty and oily film formed on cabinets using vegetable or mineral oil. Make a paste consisting one part oil to two parts baking soda. Apply this paste on a clean cloth and start cleaning the cabinets. After using the oil and baking soda paste, clean the cabinets with warm water and dish detergent. Or you can just use plain oil, applied on a paper towel, like in the video below.